I am excited about going to Magnum. Not the ice-cream, not the TV show, not any male enhancement pills. I will join the MagnumPhoto 2011 workshop in Toronto. It is a one week program with a diverse mix of group sessions, individual photo shoots, critiques, lectures, long work hours, an exhibition at the end, and hopefully some good drinks and food in between, all run by seven of their photographers plus staff. Many participants have already arrived and are spending time this weekend to get together and shoot photos. The group has traveled from all over the world to participate. So I am excited about meeting new people in an unknown city. Today I started packing my camera gear and to my surprise I will take a very light kit. 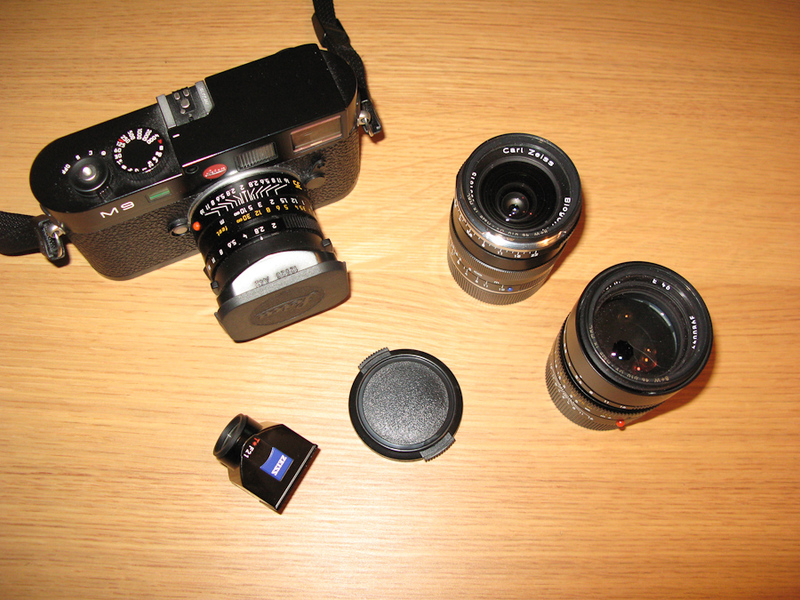 I decided to bring along my Leica M9, a Summicron 35mm lens for most of the work load, a Summilux 50mm, and my fairly new 21mm 2.8 Zeiss ZM with its viewfinder. I will leave behind a 90mm Summarit, which I haven’t really used yet and don’t expect to use over there. 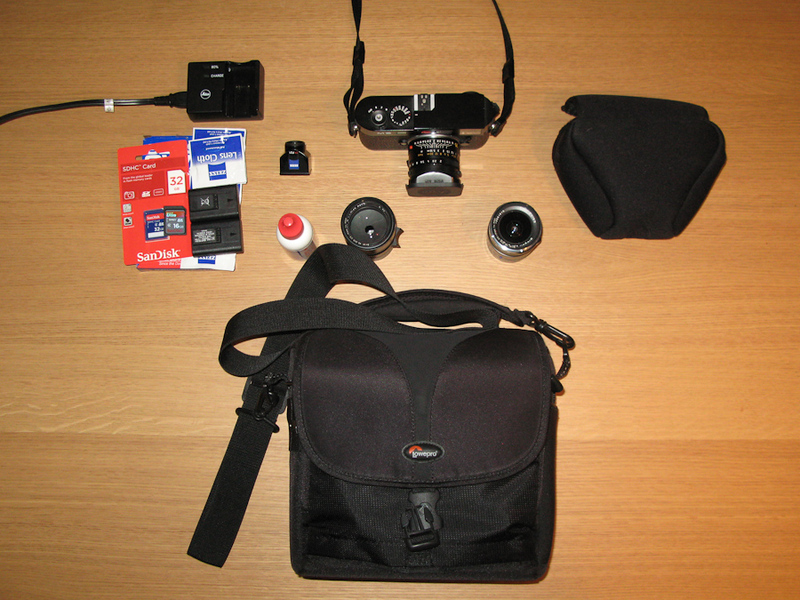 All together it nicely packs into a small LowePro bag ( Not a nice bag but very useful. It is compact, and it has a build-in rain cover). I am enjoying this small set. It is simple and discreet. I bought a few 46mm lens caps from BHphoto for 4 bucks each. I don’t like to deal with different covers and I tend to misplace them anyway. These caps work really well, are easy to put on and off, and they give the lenses a nice cheapo look. I don’t know why Leica ships the 90mm Summarit with a metal cap. It is bulky and can bend easily. In addition I will bring one charger, three batteries, a few sensor cleaners, two 32GB SD cards, one 16GB card, and the Leica neoprene cover which I can really recommend. One Mac 17″ laptop, a 500GB WD Passport drive loaded with Adobe Creative Suite, Lightroom 3, ColorEfex 3 and SilverEfex 2, plus Alienskin Exposure. All together should get me somewhere. I realized that I don’t have any backup camera. If the Leica dies, I will die as well. In case of my unexpected recovery I may have to scout the local stores for something cheap.